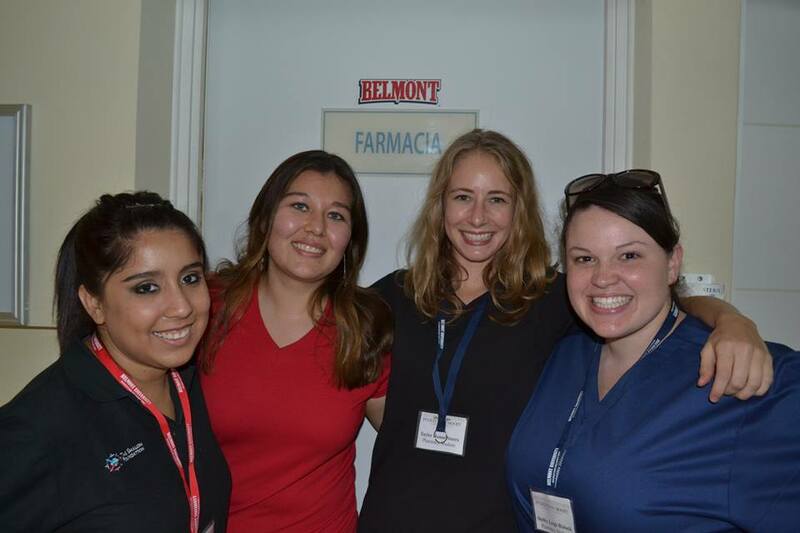 A team from Belmont’s College of Pharmacy recently spent 10 days in Guatemala City, Guatemala as part of a multidisciplinary surgical mission team serving at The Moore Pediatric Surgery Center. Led by Professor of Pharmaceutical, Social and Administrative Sciences Dr. Eric Hobson, three students – Shelby Blalock, Anais Fraire and Tayler Storrs – served the hospital’s hospitality and outreach team, charged with meeting the patients’ and hospital staff’s physical, emotional and spiritual needs. Beyond providing chaplaincy services, entertaining patients and anticipating the medical team’s needs, one student was always stationed in the Moore Center’s pharmacy where they served as a pharmacy technician to the hospital’s full-time pharmacist. Each student also observed multiple surgeries including cleft palate repair, tonsillectomy and scar rescission. Throughout the week, the team cared for 108 children who received life-changing surgery at no cost. Dr. Hobson said a highlight of the care process was sitting, talking and praying with parents while their children were in the operating room. The team reconnected with families the day after surgery and provided each with a Spanish language Bible and a printed set of the prayers team members prayed during the major stages of each child’s hospital stay. Hobson developed a relationship with the hospital after meeting Executive Director of The Shalom Foundation Allison Bender and realizing the need for a pharmcey. He co-designed the pharmacy and brought the first Belmont students there to open it in 2011. Now, 95 percent of the pharmacy’s services have been performed by Belmont students, and the facility has completed more than 3,000 surgeries performed by doctors from all over the United States. Hobson returns regularly to the hospital, and now his siblings have taken on roles with the clinic as well, making what USA Headlines calls a “Family Affair.” The family hopes to continue helping the clinic grow.